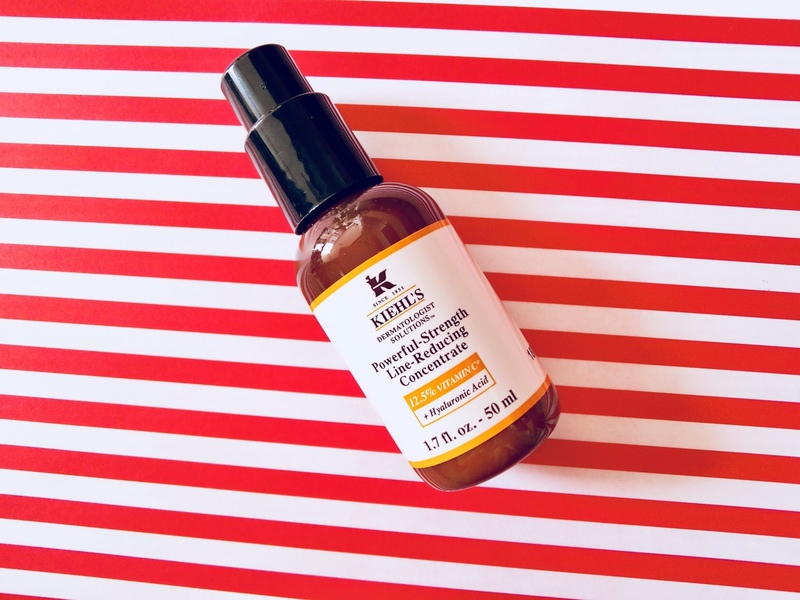 Kiehl’s latest serum is a potent blend of Vitamin C (an eyebrow-raising 12.5 per cent) and hyaluronic acid. Formulated to smoothen the appearance of lines and pores; the Powerful-Strength Line-Reducing Concentrate is indeed powerful enough to leave a warm and tingly sensation on the skin upon application. The slight stinging feeling did not last more than 10 seconds on my normal-combination skin though. Although it might further irritate those with intolerant skin. After using it three days and nights in a row, I’ve noticed a perceptible improvement to my skkn texture. Somehow, my skin also looks less oily throughout the day. This serum leaves behind a silky-smooth matte finish, and is lightweight enough to be layered between a lotion, and moisturiser, sunscreen, foundation. This sounds like a great product – it hasn’t been on my radar to try but now it is!